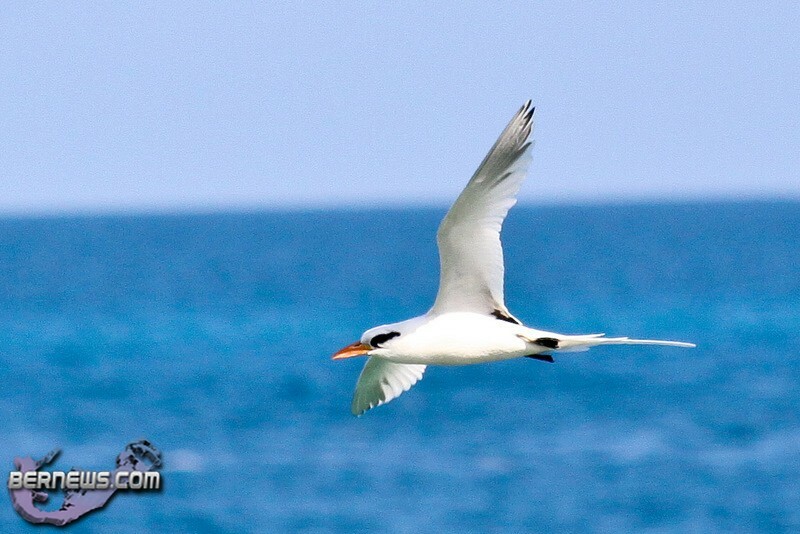 The first Longtails of the year are back, according to President of the Bermuda Audubon Society Andrew Dobson, who said that Audubon member Keith Rossiter spotted two off Spittal Pond, and also noted they were seen off Church Bay. 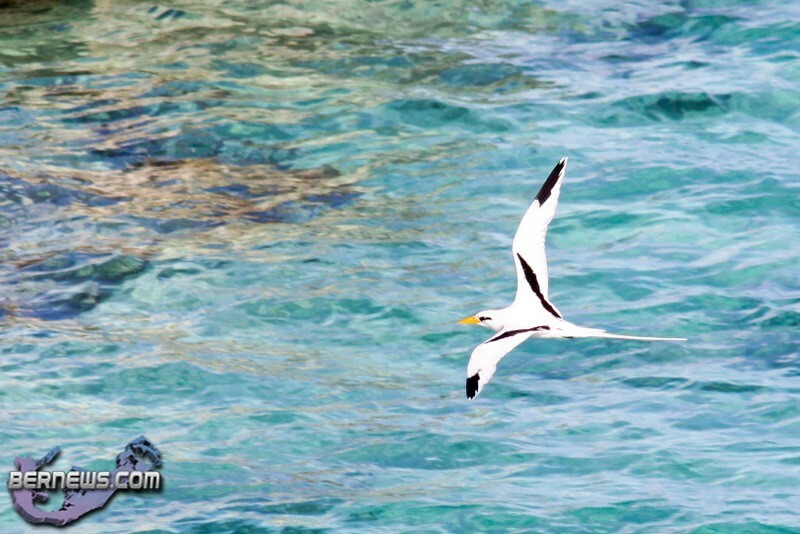 “Bermuda is a very important breeding location for the White-tailed Tropicbird (longtail) with as many as 2,000 pairs returning to our shores each summer. Over the years, cliff nesting sites have been lost due to housing and commercial developments, not to mention cliff collapse due to severe storms. After an investigation if was found that all these eggs had been taken by one small group of 4 crows. Further to this a group of crows were observed a number of times with downy Longtail chicks in their beaks, which were then killed and eaten. Welcome home bird….spring is next!! !